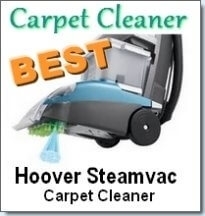 We review various rug steam cleaners as well as the Rug Doctor cleaning service. After renting a rug doctor, you can also buy one. We will look at the cheaper rug doctor models as well as the most effective but more expensive ones. Rug Doctor has grown to become one of the most well known hot water extraction carpet cleaning services available. The only other company which has this level of recognition is Stanley Steemer. Rug Doctor has its roots in Fresno, California but has recently relocated its headquarters to Plano, Texas. They currently have 35 service centers and distribution points around the US. They have also made their signature Rug Doctor cleaners available for sale to the general public. This is an excellent move by them as consumers have grown to love their steamers. 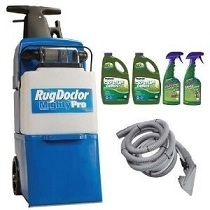 You can rent a Rug Doctor machine at almost any grocery, hardware, drugstore or home store in the US. They have over 33,000 outlets available so you can test one before deciding whether you want to invest or not. — A Strong Vacuum Motor: Each motor has 1.9 hp of power which provides the muscle required to remove deeply embedded dirt from within your carpet’s fibers. It is also responsible for suctioning the water out of your carpets which translates into drier carpets. — Huge Tanks: Each Rug Doctor has high capacity solution and recovery tanks. They have 2.6- 3.7 Gallons in solution tank capacity as well as 3.1- 4.8 Gallons of recovery tank capacity. 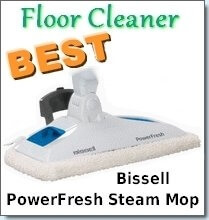 This translates into longer cleaning times as well as less refilling or emptying. — Vibrating Brush: Each machine has a brush which vibrates back and forth. This thoroughly cleans your carpet and fluffs it at the same time. As a result, you have a completely clean, soft and completely refreshed carpet for your enjoyment. — Strong Outer Body: Each Rug Doctor is made to last a lifetime plus some. — Certified: The Rug Doctor has been certified by the CRI (Carpet and Rug Institute ) and is the only extractor on the consumer market to have that certification. Every Rug Doctor machine is certified to be the best. If you want to purchase your very own, but want the cheapest option that will deliver the best performance, you’re in luck. 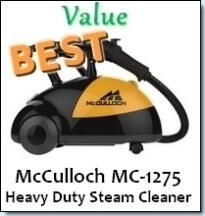 The most affordable machine is the Rug Doctor Mighty Pro Carpet Cleaner which you can purchase for approx. $547. This is also the highest rated model, so that is a definite plus! The most important information is of course what consumers think about this model. 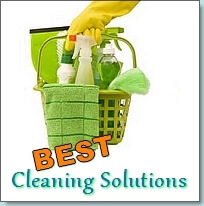 • Professional clean without the professional at any time! No need to ever pay recurring fees. The only issue is that if you need to use it for small jobs, don’t pour in too much solution and water. The reason being, emptying it might require 2 people due to the weight. However, many consumers thought this was insignificant and well worth any trouble!